Problems persist with IRS's handling of large dollar refund freezes. 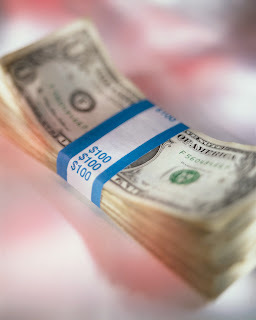 IRS has been paying an excessive and unnecessary amount of interest on improperly frozen large dollar refunds, the Treasury Inspector General for Tax Administration (TIGTA) said in a recent audit. The agency's inability to promptly resolve some accounts with a large dollar refund freeze has been a persistent problem. It was the focus of two previous TIGTA audits, in September '99 and March 2002. “In those reports, we recommended that computer programming changes be made to periodically alert employees to review accounts with large dollar frozen refunds and systematically release these refunds if the credit amount went below the large dollar refund freeze threshold (currently $10 million),” TIGTA said in its latest audit. This time around, auditors found fewer accounts with the large dollar refund freeze. “Nevertheless, the amount of interest the IRS continues to owe taxpayers with improperly frozen refunds is substantial because it has yet to implement our recommendations from the prior reviews,” TIGTA said. The audit located 152 taxpayer accounts with the large dollar refund freeze, including 75 (or 49%) which were improperly frozen. Among these 75 accounts were 49 accounts for which refunds totaling $620 million were not timely issued. The government was required to fork out $62.9 million in additional interest, the audit said. TIGTA urged IRS to implement its previous recommendations. The audit is available at http://treas.gov/tigta/auditreports/2009reports/200930106fr.pdforts/200930106fr.pdf .